I have recently discovered the brand 100% Pure and totally fell in love with their products (and their philosophy). They create beautiful makeup and skincare formulas in gorgeous packaging that's made with 100% natural ingredients. All of their products are cruelty-free, 100% free of artificial colors, artificial fragrances, synthetic chemical preservatives and all other toxins. They even dye their products using pigments derived from fruit...how cool is that?! I plan on reviewing several of their products in the near future, but today I figured I would start with one of my favorites so far...the Gemmed Luminizer in Moonstone Glow ($35). Now right off the bat, I will acknowledge that this product isn't cheap...the price is almost right up there with a Becca highlighter. But seeing as how it's made up of 100% natural ingredients, I think it's worth the splurge, especially since it performs beautifully. It comes packaged in a pink-toned metal container that has a pretty design etched into the lid. It looks stunning sitting on my makeup table! Inside, the luminizer is made from rice starch and silica (instead of talc) and contains real crushed gemstones to deliver its beautiful glow, including Labradorite, Moonstone, Australian Opal, Pyrite, and Sunstone. Its color comes from antioxidant-rich fruit pigments and the formula contains extracts of pomegranate, cranberry, strawberry, raspberry, apricot, cherry, peach, grape, goji berry, and chamomile. (see the full ingredient list here). The formula feels super soft and velvety, just like a high-end luminizing powder. It picks up easily with a brush and applies so nicely to the skin. 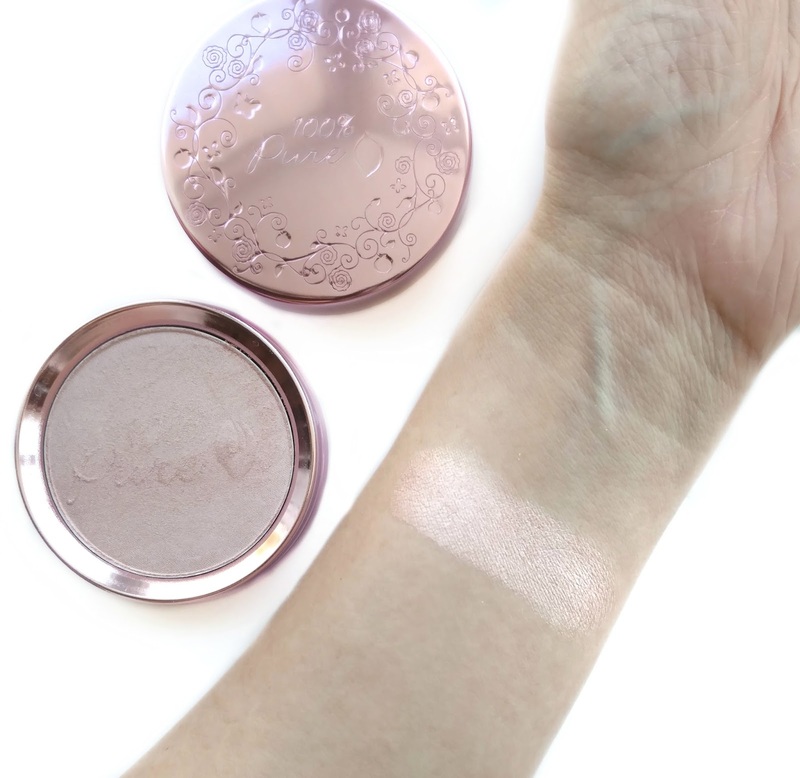 This shade, Moonstone Glow is an icy pink shade with lavender and white shimmer...perfect for fair skin like mine! They also have two other colors as well. 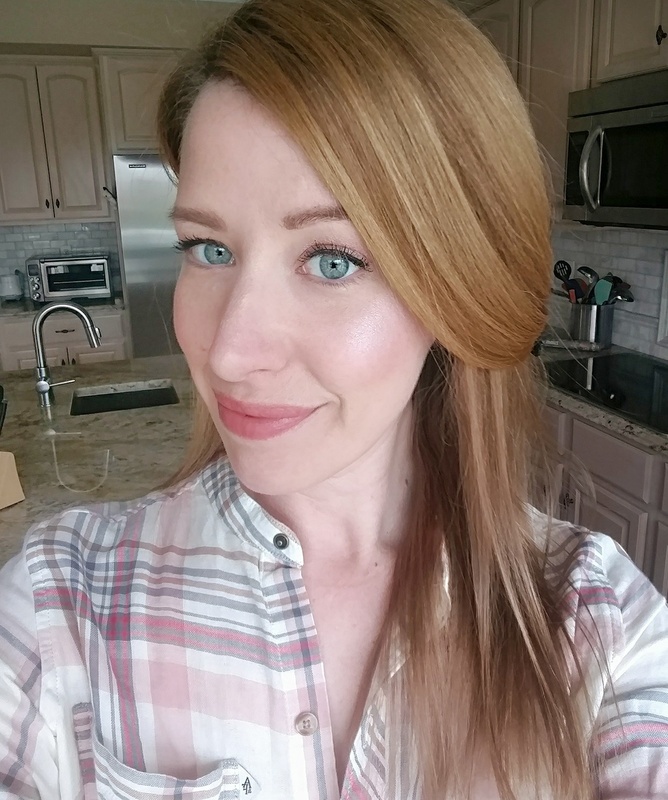 Here's what it looks like on my skin...I just love the glow it gives because it really shows up nicely yet still looks on the more natural side. Overall, I highly recommend checking out 100% Pure! 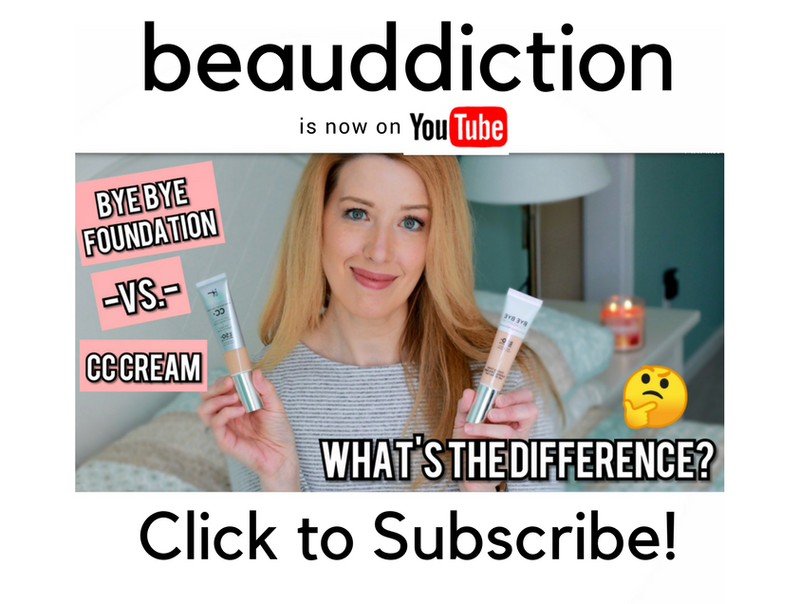 Their products are top-notch and I think it's amazing that they were able to create all natural products that look so pretty and perform so well. That looks BEAUTIFUL on you! I have never heard of this brand but I don't mind paying $35 for a highlight that looks like that and is all natural to boot. I have several of Becca's highlighters at $38 a pop so obviously price isn't a big thing for me, what matters is how they look and perform. This is so pretty! 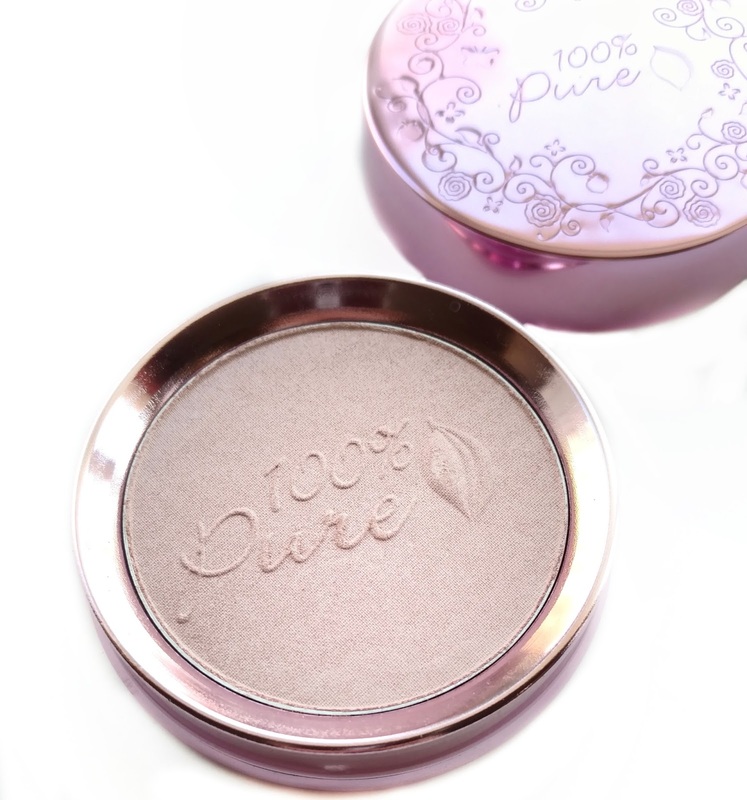 I love 100% Pure, their products are great. Have you tried the fruit pigmented blushes? I have a few and they're my favorite. I just ordered this and one of the fruit blushes that Megan recommended above. I've made it my mission to eliminate more chemicals from my life and start using natural products this year after my mom got cancer at a pretty early age. I feel that we put too many bad chemicals on (and in) our bodies and no one really knows what they do long term. I hear you Kelsey! The cosmetics industry is largely unregulated so sometimes it scares me that we don't always know what we're putting on our skin (or what these things do).